You'll find plenty of places to visit near Galway: Cliffs of Moher (in Liscannor), Burren National Park (in Corofin) and Irish Crafts (in Doolin). 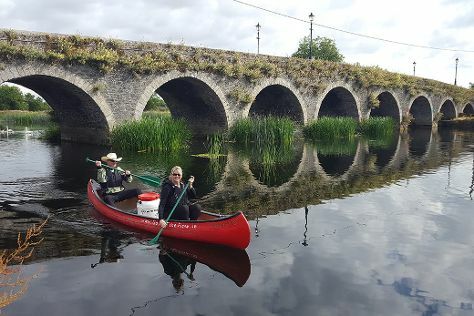 There's lots more to do: explore the wealth of natural beauty at Connemara National Park, explore the historical opulence of Bunratty Castle, steep yourself in history at Knappogue Castle, and browse the exhibits of Galway Arts Centre. To see reviews, photos, ratings, and other tourist information, refer to the Galway vacation planner. Brussels, Belgium to Galway is an approximately 6.5-hour combination of flight and bus. You can also do a combination of car and ferry; or take a bus. The time zone difference when traveling from Brussels to Galway is minus 1 hour. When traveling from Brussels in July, plan for a bit cooler days and about the same nights in Galway: temperatures range from 22°C by day to 14°C at night. Finish your sightseeing early on the 11th (Tue) to allow enough time to drive to Cork. Get out of town with these interesting Cork side-trips: Gougane Barra National Forest Park (in Gougane Barra), Kinsale (Stone Mad Gallery, Kinsale Silver, & more) and Cobh (Cobh Cathedral & Titanic Experience Cobh). 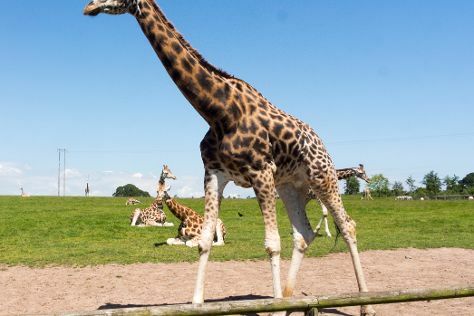 Next up on the itinerary: steep yourself in history at Blarney Castle & Gardens, make a trip to University College Cork (UCC), savor the flavors at Shandon Sweets, and admire nature's wide array of creatures at Fota Wildlife Park. For where to stay, photos, traveler tips, and more tourist information, read Cork trip itinerary builder. Traveling by car from Galway to Cork takes 2.5 hours. Alternatively, you can take a bus. Expect a daytime high around 20°C in July, and nighttime lows around 13°C. Wrap up your sightseeing on the 15th (Sat) to allow time to drive to Kilkenny. Get out of town with these interesting Kilkenny side-trips: Tintern Abbey (in Wexford), Ferns Castle (in Ferns) and The National 1798 Rebellion Centre (in Enniscorthy). There's still lots to do: step into the grandiose world of Kilkenny Castle, take in the spiritual surroundings of The Black Abbey, enjoy the sand and surf at Curracloe Beach, and identify plant and animal life at Irish National Heritage Park. To find reviews, where to stay, more things to do, and tourist information, refer to the Kilkenny trip itinerary maker. Drive from Cork to Kilkenny in 2 hours. Alternatively, you can take a bus. July in Kilkenny sees daily highs of 21°C and lows of 15°C at night. Wrap up your sightseeing on the 18th (Tue) early enough to drive to Dublin. Dublin is known for sightseeing, breweries, museums, nightlife, and historic sites. Your plan includes some of its best attractions: steep yourself in history at Kilmainham Gaol, admire the striking features of Dublin Castle, get the lay of the land with Walking tours, and sample the tasty concoctions at Guinness Storehouse. For other places to visit, reviews, where to stay, and more tourist information, you can read our Dublin tour planner. Getting from Kilkenny to Dublin by car takes about 1.5 hours. Other options: take a bus. Expect a daytime high around 22°C in July, and nighttime lows around 13°C. Finish your sightseeing early on the 23rd (Sun) to allow enough time to travel back home.